Lavender Earl Grey Vegan Lip butter is a citrus and herbal essential oil blend, with a hint of sweetness. 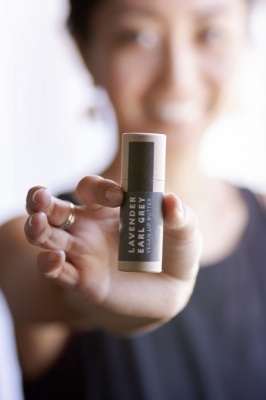 No Tox Life refer to it as a Lip Butter rather than a balm, because normal balms are usually oily and come off within an hour or two. Vegan Lip Butter, however, is packed with moisturising organic cocoa butter and avocado oil that will stay on your lips for a much longer time (usually 4-8 hours). It has a rich buttery feel and a matte finish. Wild-crafted plant wax is also used instead of beeswax, so it's completely vegan. 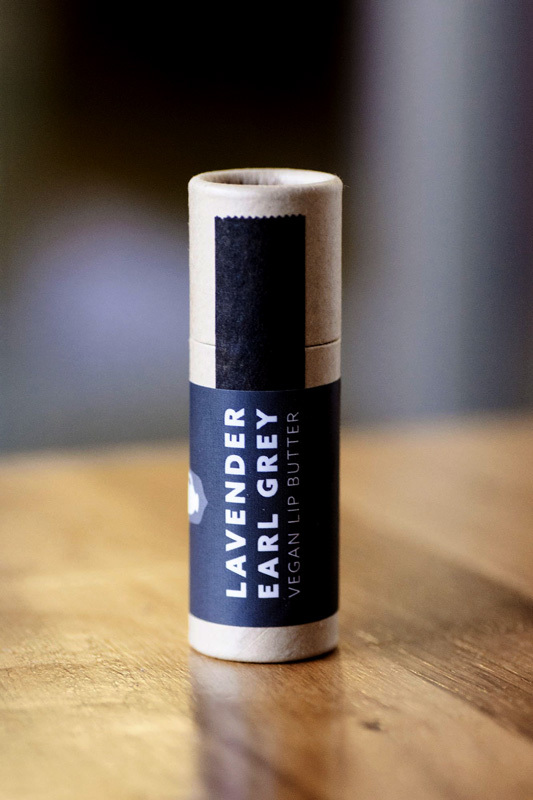 The butter is packaged in a biodegradable and zero-waste conscious paperboard tube and is about 3 times bigger than a typical lip balm size. No Tox Life was born from the desire to provide natural, toxin-free vegan body care to help you live a cleaner, greener lifestyle. They are a family-run, Los Angeles business and each product is handmade using the highest-quality ingredients they can find. Will stay on your lips for a much longer time (usually 4-8 hours). Wild-crafted Candelilla Wax (plant wax), Food Grade Rice Bran Wax, Organic Cocoa Butter, Organic Coconut Oil, Sweet Almond Oil, Avocado Oil, Lavender Essential Oil, Bergamot Essential Oil, Organic Stevia Leaf.